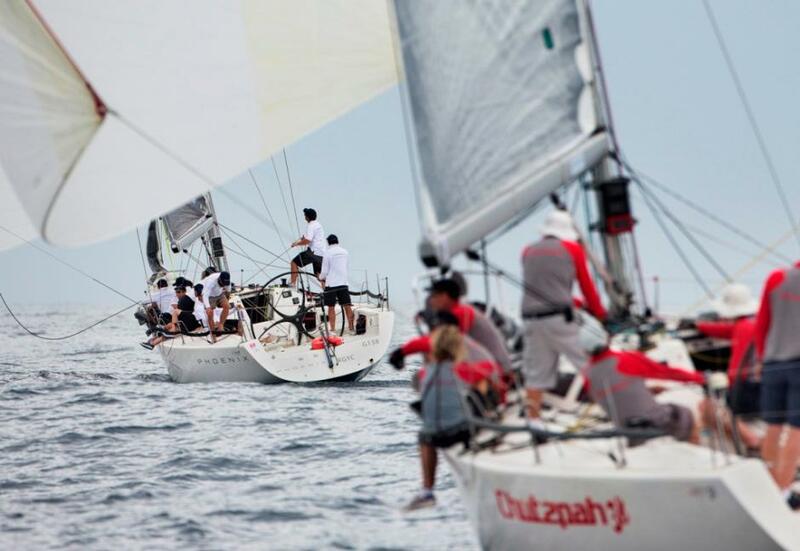 High humidity, barely any breeze, sloppy seas and 50 shades of grey sky and ocean off the exclusive northern beaches suburb of Palm Beach added up to a difficult opening day of the Sydney 38 Australian Championship, part of the Performance Boating Sydney Yachts Pittwater Regatta. Each and every crew member worked hard to keep what momentum they could muster. The trimmers sweated, the tacticians concentrated without let-up and the steerer worked overtime to prevent the boat from slowing down, and all the while the rest of the crew used their weight to keep the hull flat and balanced. A slow-moving high pressure system near New Zealand was forecast to direct east to north easterly winds along the New South Wales coast. Instead a light sou’easter in race one petered out so at the end of race two, with no more than 3.5 knots blowing and the heavy cloud cover and damp sea mist quashing the chance for a turnaround, the Royal Prince Alfred Yacht Club’s race committee reluctantly pulled the pin. After two windward/leewards offshore, Bruce Ferguson’s Sydney 38 called Whisper from the host club leads the early overall results on two points and Brenton and Jen Carnell’s Phoenix from Victoria’s Royal Geelong Yacht Club is second by a margin of three. Third is Mark Griffiths’ Old School (RPAYC). Ferguson described the day as “very light and tricky, and lumpy as well. 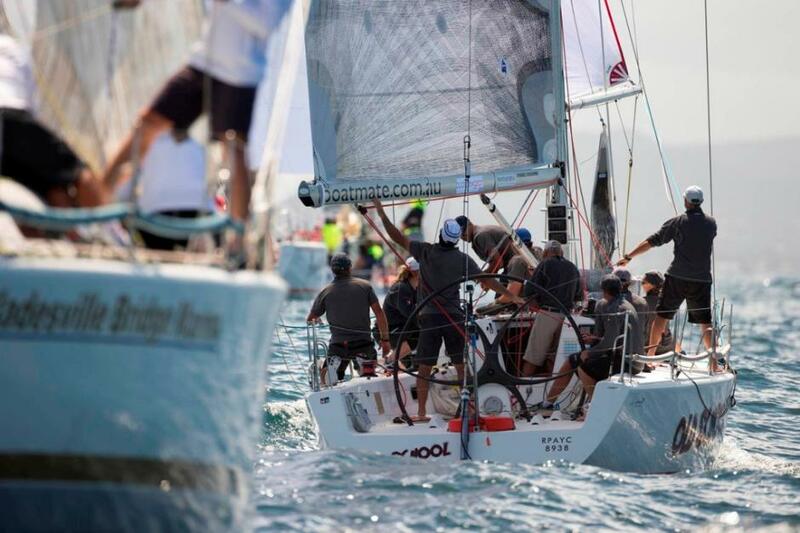 It was about keeping the boat flat and the crew weight right, you didn’t want to let the boat slow down at all.” He reckons tomorrow looks similar then Sunday the winds might return to close the competition for the 38s and the fleet of Sydney 36s joining the regatta from tomorrow, Saturday February 21, 2015. This afternoon 15 Victorian and NSW Sydney 38 crews are enjoying quenching ales on the RPAYC marina thanks to 316 Fasteners who sponsored complimentary beers on the dock for the crew post racing – a well-deserved reward for a hot and thirsty work out. The effects of Tropical Cyclone Marcia are expected to bring strong to gale force winds along the New South Wales north coast. There’s nothing wind-wise to cause the organisers or sailors any concern as the series plays out over the weekend, but Principal Race Officer Steve Merrington says he will be keeping an eye on the cyclone’s influence on the swell and overall sea-state. Racing is due to recommence tomorrow at 1100hrs and with south-east winds expected it’s highly likely the same course area will be used. 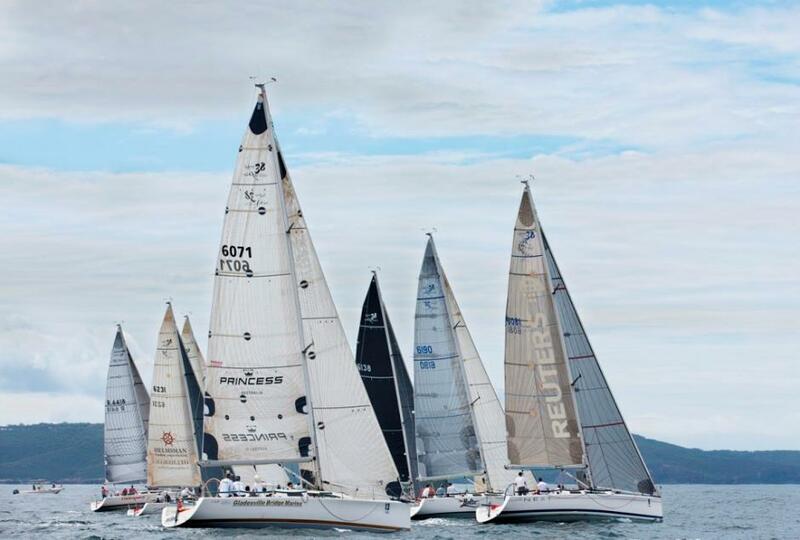 A number of sponsors are supporting the Sydney Yachts Pittwater Regatta including principal sponsor Performance Boating, gold sponsors Pantaenius Insurance, G- Brothers Mercedes and Coca Cola and silver sponsors Zhik, North Sails, 316 Fasteners, Quay Marine and Wettons. 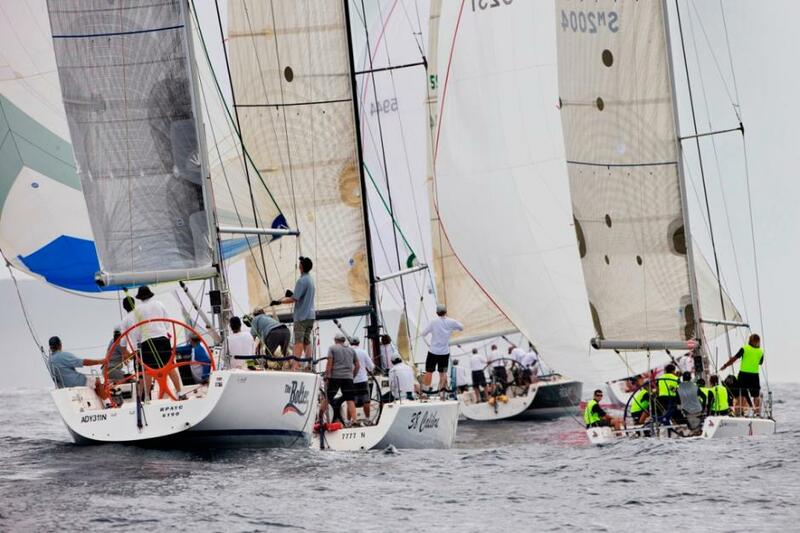 For those awake around midnight last night, a 20 knot ENE gust through Sydney’s northern suburbs raised hopes for day two of the Performance Boating Sydney Yachts Pittwater Regatta. The reality was…well like night and day; another heavy cloud and high humidity fizzer to the east of Barrenjoey Headland and just two more race scores added. 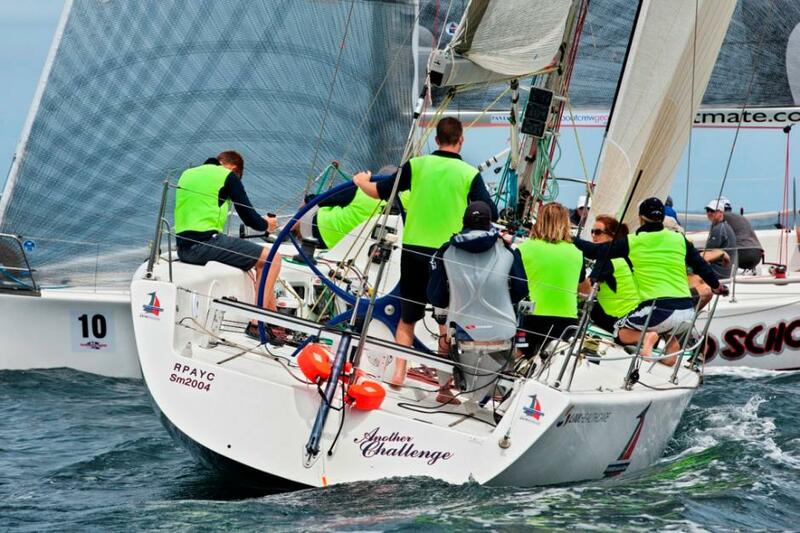 In the Sydney 38 national title a bullet for Brenton and Jen Carnell’s Phoenix from Geelong in race four has them hard on the heels of Bruce Ferguson’s Whisper (RPAYC) and vying for the Lou Abrahams Australian Champion Trophy with one day remaining. The pair spent all day Thursday training boat-on-boat and setting up for the forecast lights airs. Now the two Sydney 38s are on equal points, Whisper leading on a countback and Mark Griffiths’ Old School maintaining third place overall. He says the colour choice is about the crew enjoying their first class regatta, not being too serious and being visible. 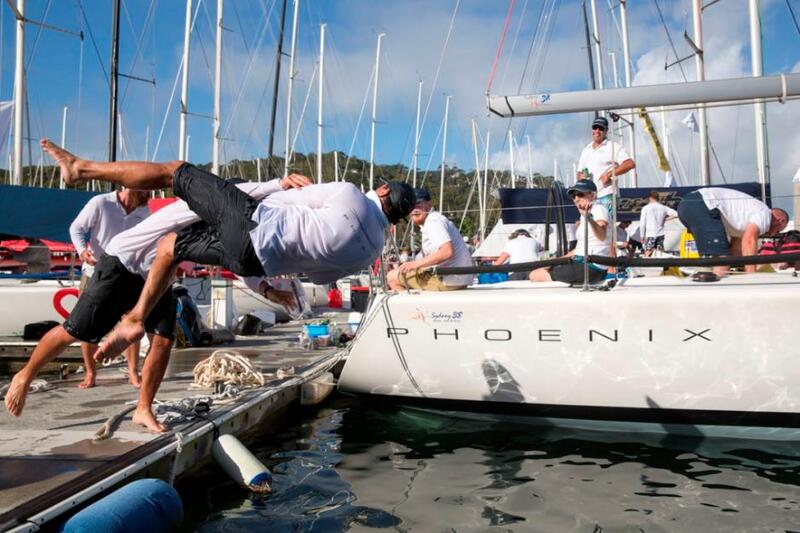 The Royal Prince Alfred Yacht Club crew is also numbered up, America’s Cup style. “We are trying to call each other by our numbers, but we end up using names.” Talking about performance the skipper reckons their boat, modified to accommodate sailors with disabilities, is heavier than the others, which makes the creep around the offshore windward/leeward track even more painful. “It’s a bit frustrating, but we love being here with everyone,” Fitzgibbon added. Though the Sydney 38s slaved for the second day in the outgoing tide, patchy light winds and rolling sea the 15 crews are still very upbeat. Co-owner of the boat of the day Phoenix, Jen Carnell, says “there’s nothing you can do about the wind, being here is what counts. We have a great fun crew and everyone likes to hang out together,” she added as the loaded tender pulled out of RPAYC, the Phoenix crew off for a spa then dinner and round table discussion on tomorrow’s decider. 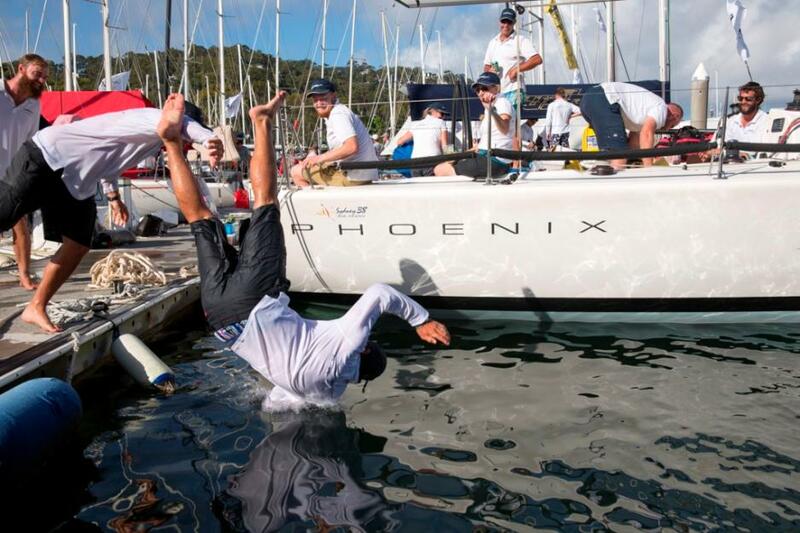 Newcomer Chris Mrakas from Sandringham Yacht Club has dived in the deep end. He bought last year’s champion 38 called Challenge after owner Lou Abrahams passed away and competed in his first regatta as a boat owner at January’s Festival of Sails. 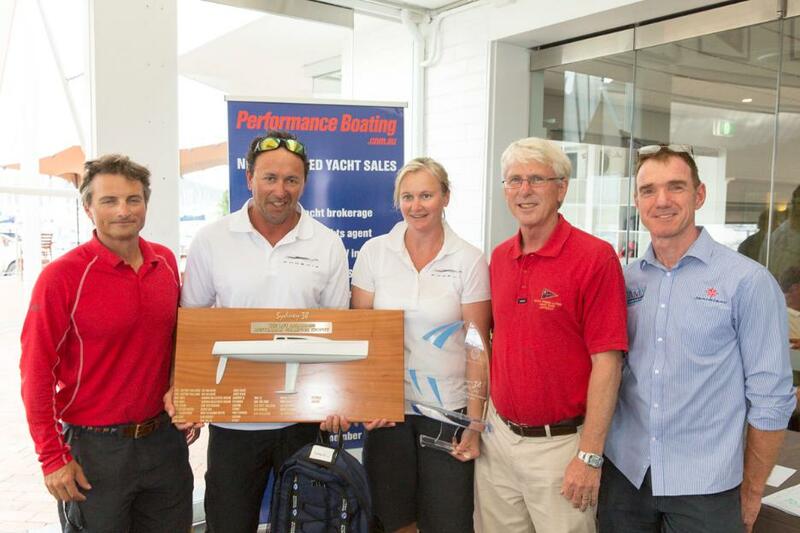 Then a few weeks’ later he took on 40 knots during the delivery from Port Phillip north to make it to Pittwater for the class’ pinnacle, the national title. “We’ve never sailed in such light winds,” Mrakas said dockside at RPAYC today, Saturday February 21, 2015. “We copped 38-40 knots around Wilsons Prom during the trip up, actually we ripped our main and the least wind we saw over the entire distance was 26 knots. Five knots out there today and yesterday is like standing still,” he laughed. In the five boat Sydney 36’ fleet scores have Peter Franki’s Saltshaker (CYCA) tied on first place with Steve Hatch’s M, from across the harbour at the RSYS. Tomorrow’s first race start is scheduled for 1000hrs and the official forecast is easterly winds 10-15 knots. Optimistic say the local experts. 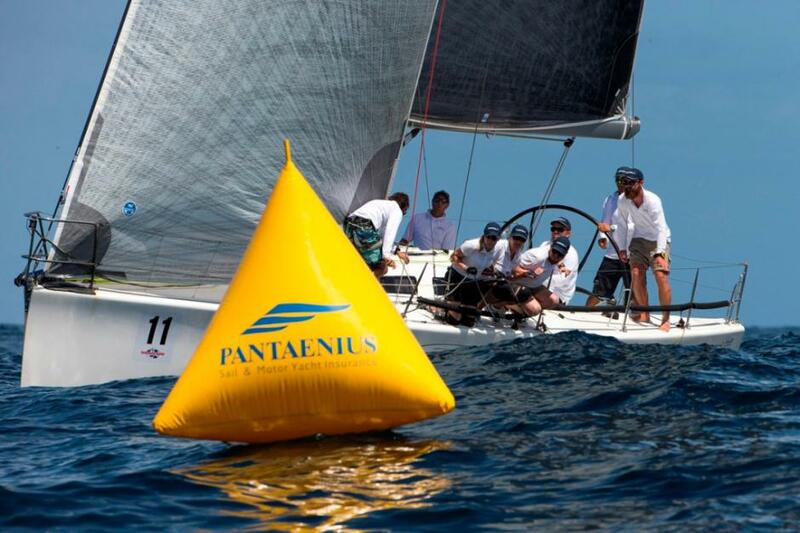 A number of other sponsors are supporting the Sydney Yachts Pittwater Regatta including gold sponsors Pantaenius Insurance, G- Brothers Mercedes and Coca Cola and silver sponsors Zhik, North Sails, 316 Fasteners, Quay Marine and Wettons. 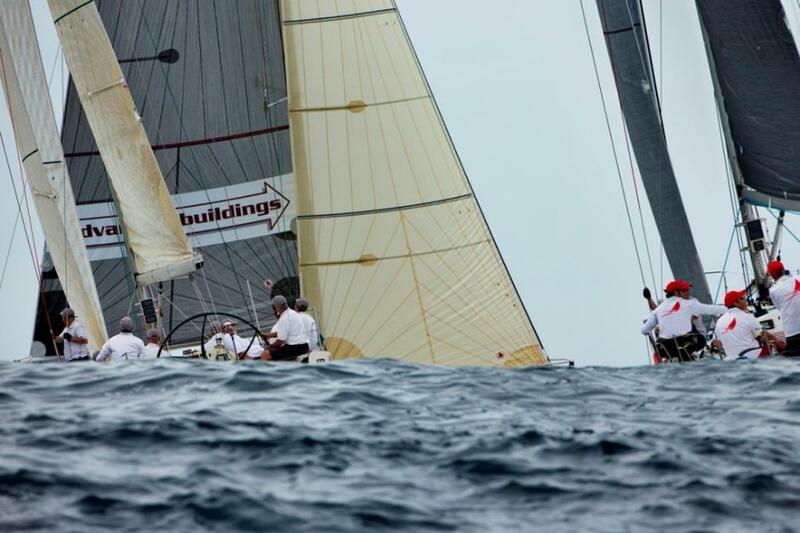 There was no chance the 200 or so Sydney 38 and 36 sailors contesting the Performance Boating Sydney Yachts Regatta were going to die of thirst like the poor souls on Coleridge’s ship in his famous maritime poem, the Rhyme of the Ancient Mariner. Yet three days of heavy cloud, thick humidity and barely there breeze warranted the doldrums reference and amounted to punishing racing. At the end of a seven race series, well short of the 12 originally scheduled due to the extreme weather pattern, the long delivery from Geelong to Pittwater became all the more worthwhile when Brenton and Jen Carnell’s Phoenix capped off the Sydney 38 Australian title by one point having staved off a late challenge from Mark Griffith’s Old School (RPAYC). Carnell’s Royal Geelong Yacht Club crew realised they needed to readjust the boat after day one to have a chance at defeating the locals. They spent Friday evening tweaking and found the extra pace, and went in the right direction on the offshore course thanks to tactician Chris Jones. “All the crew were fantastic, in the light conditions they were pressed down on the leeward rail all the time and maintained the concentration needed to do the job,” Carnell praised. 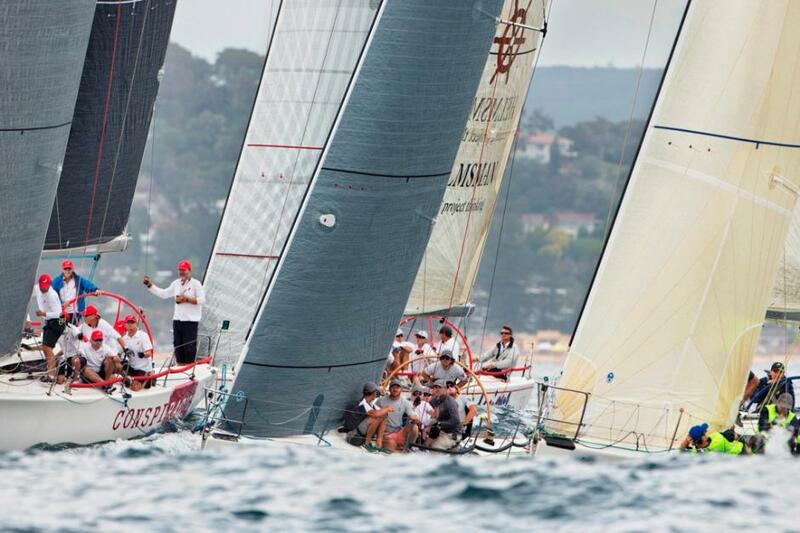 Third Sydney 38 on overall points was Bruce Ferguson’s Whisper from RPAYC and Bruce Taylor’s Chutzpah from Melbourne was declared the top scoring Corinthian, or amateur-crewed boat. First Sydney 36 in their two-day series was Peter Franki’s Saltshaker (CYCA) then Steve Hatch’s M (RSYC) and Andrew Hurt’s Onya (MHYC) in third overall. 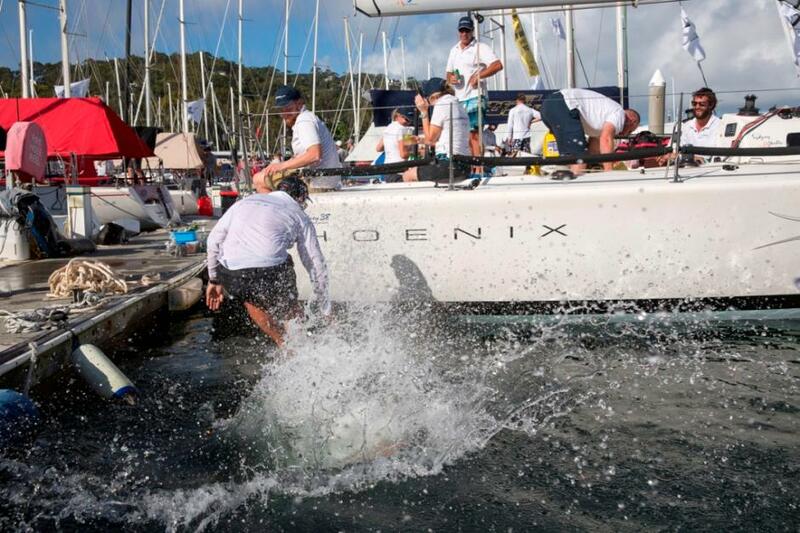 As the 4pm time limit for a start approached, race six and seven rolled off in quick succession making the most of the best wind of the regatta – 7-8 knots from a smidge north of east. 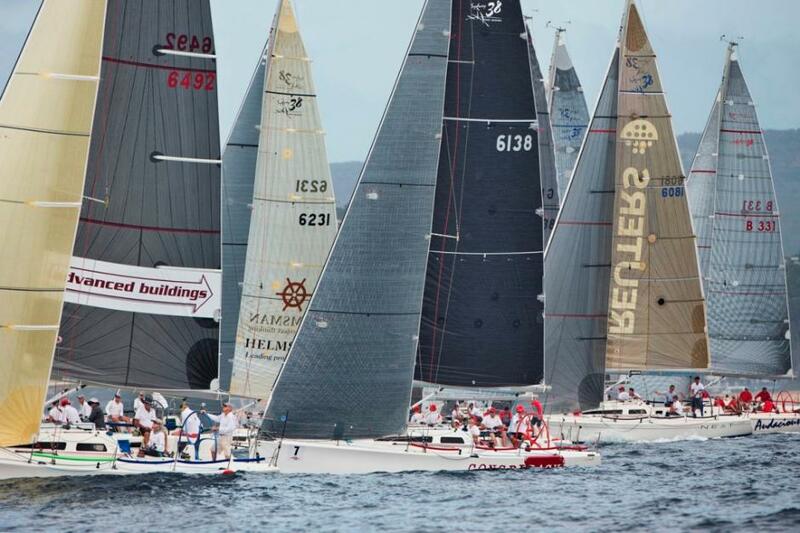 By that stage the caravan of 20 Sydney Yachts and officials plus marks and support boats had relocated to “half way to New Zealand” joked the PRO Steve Merrington. In actual fact he shifted the track southwards and further offshore on the ocean side of Palm Beach, north of Sydney. Having found a wind pocket and determined to keep the momentum going, Merrington started race six under a black flag following a general recall of the fleet, which means too many boats were on the wrong side of the start line to be called back individually. Richard Williams’ Calibre cut it too fine and the flag came down, disqualifying them from that race. At this evening’s trophy presentation at the host club, the Royal Prince Alfred Yacht Club, the winning Phoenix team received the rededicated Lou Abrahams Australian Champion Trophy named in honour of the four-time winner and class stalwart who sadly passed away last year. As the last in the 20 boat fleet of Sydney 38s and 36s crossed the finish line this afternoon, Sunday February 22, 2015, crews took to their radios to thank the race committee for a terrific job under trying conditions. In response Merrington thanked them for their patience and also the RPAYC race management team he says “is the best I’ve ever worked with”. Looking forward, Sydney 38 Association President Greg Clinnick reminds all Sydney 38 owners that a new class rule means from September this year boats can carry 25% bigger mast head kites, making this the last nationals with fractional kites. 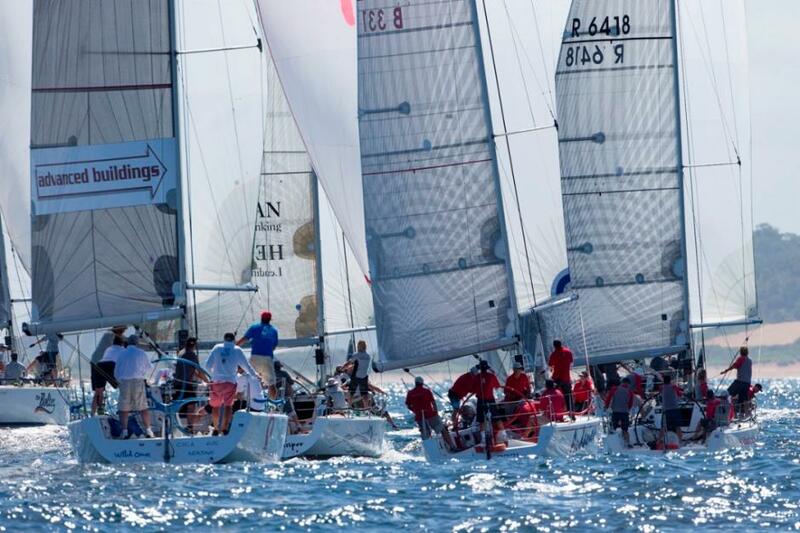 The class’ 2016 Australian title returns to Geelong and the Festival of Sails in January 2016 where it’s hoped fleets from South Australia, NSW and Victoria add up to 20-25 starters. 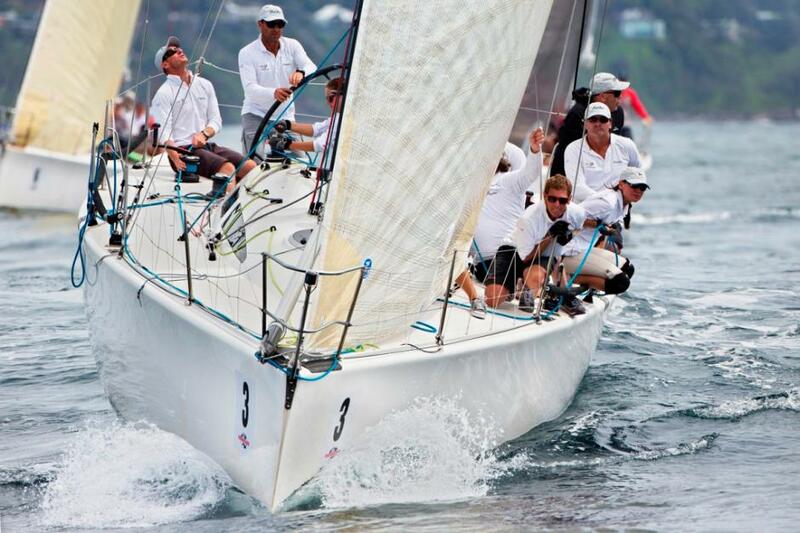 Next on the Sydney 38 calendar are the Victorian and NSW state titles planned for the same weekend in April, 18-19. 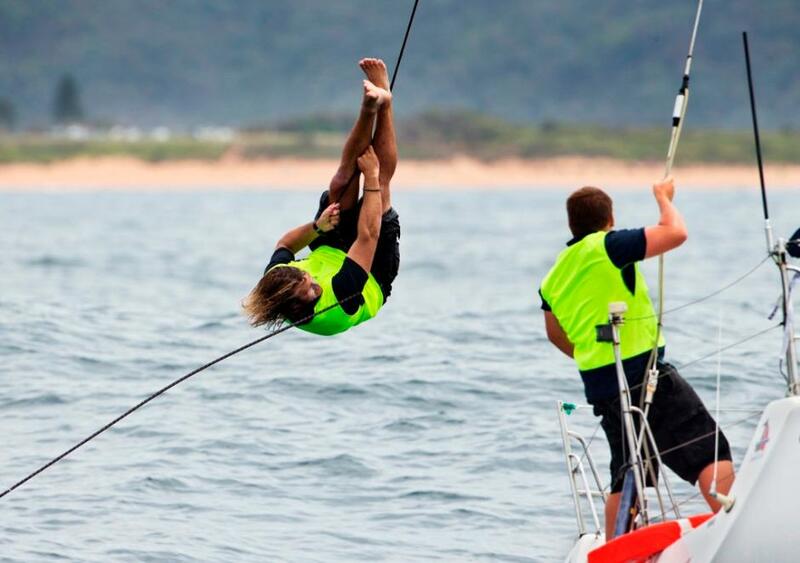 The NSW states fall under the Sail Port Stephens regatta banner. Reports by Lisa Ratcliff, Photography by Andrea Francolini, 2015.